Last year's press conference by four senior-most judges including Chief Justice of India Ranjan Gogoi has not served its purpose and instead the concerns raised at it like functioning of the Collegium for appointment of judges for higher judiciary have aggravated, a former CJI said Wednesday. Justice (retd) R M Lodha, who was the CJI from April 27 to September 27, 2014, was critical of the decision of the five-member Collegium headed by CJI Gogoi to bypass senior judges and recommend the elevation of Justice Sanjeev Khanna of the Delhi High Court as a judge of the Supreme Court. He said in the controversial media briefing of January 12, 2018, the present CJI as the second senior-most judge, had raised a litany of issues against his predecessor Justice Dipak Misra and the appointment of judges for higher judiciary was one of them. "The concerns remain the same. Rather, they seem to have aggravated by this exercise (recent recommendations). I don't think there is any change. At least it is not visible to the public at large. It has not served its purpose because we don't find the changes which the press conference wanted to have really taken place," Justice Lodha told PTI. The other judges at the press conference -- justices J Chelameswar, M B Lokur and Kurian Joseph -- have since retired. 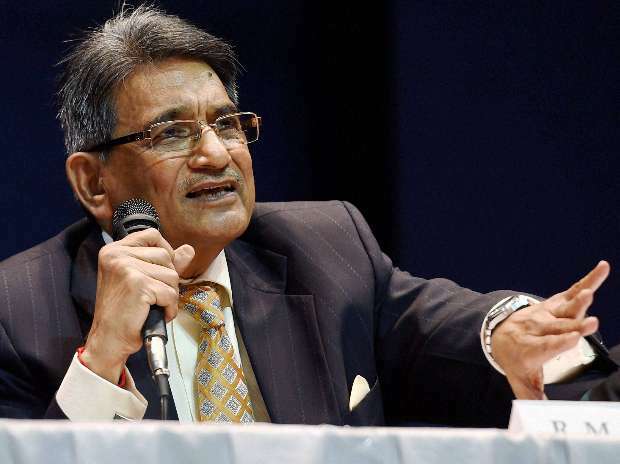 When asked what could be the future course of action, Justice (retd) Lodha said if the Collegium has sent the recommendation then the ball is in the government's court and now unless the Collegium calls its back, it seems unlikely that anything will change. "Now the government will take its call and then it will be sent to the President of India. Looking at the overall reaction and perception, it would be better if the matter is recalled and the matter is considered threadbare but this seems to be unlikely to me," he said. Justice Lodha said that the only remedy is that for the future the Collegium considers other names like it happened with Justice Dinesh Maheshwari, the Chief Justice of Karnataka High Court who was from Rajasthan. "He was superseded six weeks back and his junior Justice Ajay Rastogi was brought to the Supreme Court and now within six weeks Justice Maheshwari is the most deserving by the Collegium. So those who have been overlooked can always be considered so there is no bar," Justice Lodha said. The Collegium, also comprising justices A K Sikri, S A Bobde, N V Ramana and Arun Mishra, on January 10 recommended names of justices Maheshwari and Khanna for elevation as apex court judges. Names of chief justices of Rajasthan High Court and Delhi High Court -- justices Pradeep Nandrajog and Rajendra Menon -- were considered by the Collegium on December 12, 2018 for elevation but the deliberation remained inconclusive and one member of the Collegium, Justice M B Lokur, retired on December 30, 2018. His place in the Collegium was taken by Justice Arun Mishra. The new Collegium on January 10 ignored their prospect of elevation as apex court judges.